Concern is growing about possible terrorist attacks in Myanmar, and questions are being asked about the government’s ability to counter such threats. We are not talking about the Arakan Rohingya Salvation Army (ARSA) terrorists who provoked retaliatory operations from the military by staging attacks against security forces, innocent civilians, ethnic tribespeople and Hindus in northern Rakhine State. We are talking about foreign terrorists who will surely try to exploit the situation by launching spectacular attacks in coordination with radical elements inside the country. Myanmar is indeed vulnerable to such attacks. Two weeks ago, Southeast Asian defense ministers issued a joint statement on the need for improved cooperation on and combating of Islamist militants and foreign fighters. Indeed, the concern over a resurgence in radicalism in the region is real, with hundreds of Islamic State sympathizers known to be based in Indonesia, home to the world’s largest Muslim population. In Yangon, foreign embassies have beefed up security and Myanmar authorities and immigration officials have stepped up surveillance and increased scrutiny of visa applications. People from Middle Eastern and majority-Muslim countries are likely to face more scrutiny and possible denial of entry visas. Some security analysts believe it’s only a matter of time before the country experiences a terror attack. Despite this, there has been no preparation for coping with the aftermath of such an attack. Who would step in to calm the public and prevent a bloodbath? According to some analysts, the most vulnerable targets would be Myanmar’s embassies around the region. In 2014 an Indonesian court jailed an Islamic extremist bombmaker for seven-and-a-half years for his role in a plot to attack the Myanmar Embassy in Jakarta. The suspect was reportedly seeking to avenge the killing of Rohingya (known as Bengalis in Myanmar). In November 2016, police in Indonesia’s capital, Jakarta, arrested two men over another alleged plot to bomb the Myanmar Embassy, again in protest at the country’s treatment of Bengalis or Muslims living in northern Rakhine. And in September 2017, a petrol bomb was thrown at the embassy in Jakarta as anger flared anew over violence against the Rohingya. In January 2017, Malaysian authorities detained a suspected IS follower who was allegedly planning to head to Myanmar to carry out attacks. 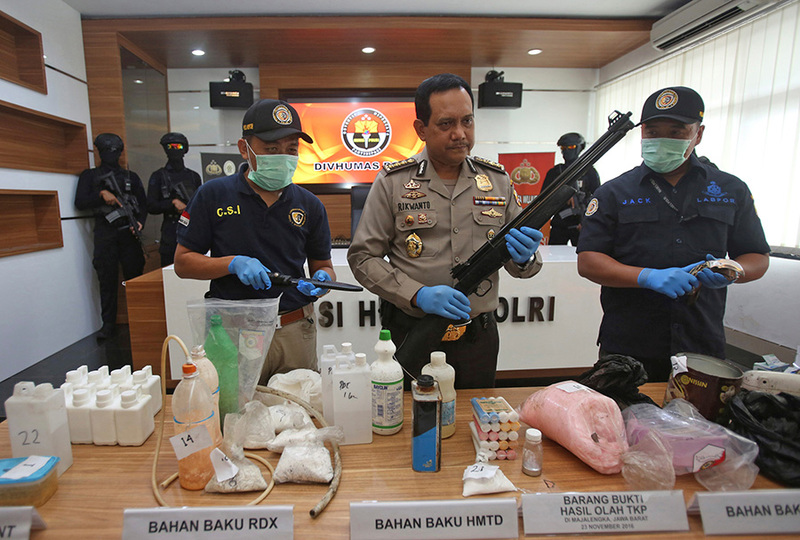 An Indonesian national, he was planning to perform jihad against the Myanmar government, according to counter-terrorism official Ayob Khan Mydin Pitchay. These incidents show that the effects of sectarian unrest within Myanmar have spread outside the country. If left unchecked, they could further encourage extremists. Myanmar officials have sought assistance from Jakarta. A few weeks ago Indonesia’s Coordinating Minister for Security, Law and Political Affairs Wiranto said Jakarta will help Myanmar in coping with the possible emergence of terrorism in the country. “We want to help by sharing knowledge and experience to prevent terrorists from establishing new bases in the region,” the minister said. As IS is getting weaker and losing ground in the Philippines, it is highly possible that it will look to set up bases elsewhere in the region, he warned. “It is impossible for one country alone to overcome terrorism; countries have to cooperate, as terrorism has no borders and is not bound by regulations,” he said. Myanmar has voiced concern over the threat of IS-linked militants slipping into the country alongside Rohingya refugees returning from Bangladesh, Wiranto said. But if foreign terrorists want to launch spectacular attacks on Yangon or historic sites, they will need local partners to set up an infrastructure of extremists inside the country. Some analysts familiar with terrorist organizations in the region said an al Qaeda-linked unit was more likely to strike than a pro-IS group. Worryingly, al Qaeda in the Arabian Peninsula (AQAP) has made several strong statements in favor of jihad in defense of oppressed Muslims in Myanmar. The question is how high Myanmar is on AQAP and IS’s list of priorities. It is assumed they have more pressing targets. Last June, the Institution for Policy Analysis of Conflict (IPAC), which focuses on conflicts in Indonesia and the Philippines, released a report saying pro-IS groups in Southeast Asia are trying to recruit Bengali (Rohingya) migrants in Malaysia to join Islamic militants fighting Philippine security forces. Rohan Gunaratna, a security expert at Singapore’s Rajaratnam School of International Studies, said IS operatives in the region were “determined to mount attacks both inside Myanmar and against Myanmar targets overseas”. But caution and greater analysis are needed. Last year, the Brussels-based International Crisis Group said in a report that the coordinated attacks on Myanmar police in Rakhine State were carried out by a group called Harakah al-Yakin. While the group had links to Saudi Arabia and Pakistan, it would be wrong to “over-interpret the significance of the international links”, ICG said. There is no doubt that ARSA has connections with foreign extremist groups, despite its blanket denials. 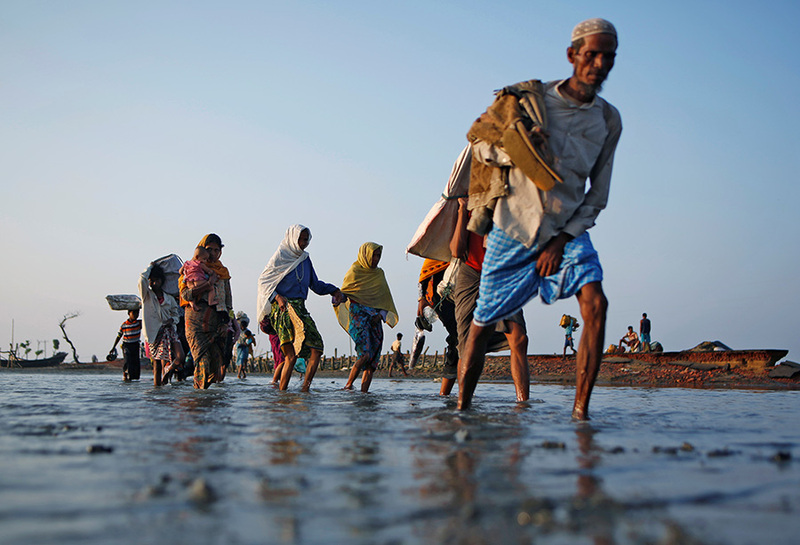 For instance, Abdus Qadoos Burmi, a Pakistani of Rohingya descent, the group’s mentor based in Karachi, has called for “jihad” in Myanmar and has well-documented links to Lashkar-e-Taiba (the Army of the Righteous), one of South Asia’s largest Islamic terrorist organizations, whose operations are based mainly in Pakistan. Lashkar-e-Taiba was founded in Afghanistan in 1987 with funding from now deceased al Qaeda founder Osama bin Laden. Abdus Qadoos has even appeared at meetings with Lashkar-e-Taiba supremo Hafiz Mohammed Syed. ARSA is the real cause of concern and partly responsible for the flight of hundreds of thousands of refugees and migrants. It has received foreign donations and training from broader Islamist terror networks in East Asia and militants in Bangladesh. In the camps, ARSA leaders have threatened refugees not to go back to Rakhine State and killed several camp leaders who wanted to take part in repatriation. ARSA members and local Bengalis who have coordinated with ARSA also committed several brutal killings against ethnic tribes in Rakhine State prior to the attacks in August. They are not freedom fighters; they are terrorists. Authorities in Bangladesh are concerned about possible contacts between Bangladeshi extremists and ARSA. New Delhi has some concrete information on ARSA’s connection to extremist groups in East Asia, particularly in Pakistan. JI members from Indonesia are rumored to have visited Cox’s Bazar in Bangladesh and met with ARSA members. Analysts in Jakarta believe that Indonesian salafi preachers (they are non-violent) successfully traveled to Rohingya camps around Cox’s Bazar. If they can get in without government clearance, presumably worse characters can as well. Since 2014, foreign terrorists have staged attacks against Myanmar embassies around the region. Now the warning is of possible terrorist attacks inside Myanmar. Still, the government and military are unprepared. Analysts are also worried that homegrown terrorists who are familiar with the landscape should be on security officials’ radar. Also on the watch list should be those sympathizers who are not necessarily local Myanmar or Burmese, but who live in the country. If attacks happen in Myanmar, how long will it take for national leaders to appear on TV screens to address the country in order to prevent a bloodbath? Of course, there is also the danger of the light being turned off on Myanmar’s fragile political transition. The government must ensure that human rights and the rule of law will not be impacted in the event of terrorist attacks. Even in northern Rakhine, we have seen reporters who went to cover stories unjustly arrested, charged and intimidated. As always in Myanmar action is belated and coordination is messy. Public relations is appalling but the people in Myanmar deserve to know how prepared their government, security forces and national security experts are to prevent attacks and foil plots. The public should be aware of the possible scenarios and make preparations in case attacks take place. At the same time, the government must safeguard press freedoms, basic human rights and the rule of law. The fact is, Myanmar is a basket case and cannot afford public mobilization exercises of the kind seen in Singapore (believed to be very much on foreign terrorists’ radar) a few weeks ago. However, the public should be warned not to be complacent and know what to do in case of attack. Cooperation with Jakarta is on the right track but much more needs to be done. It is time for Myanmar to start preparing for any possibility. The threat is real and a counterterrorism strategy is needed. Myanmar’s luck in this area won’t last forever.